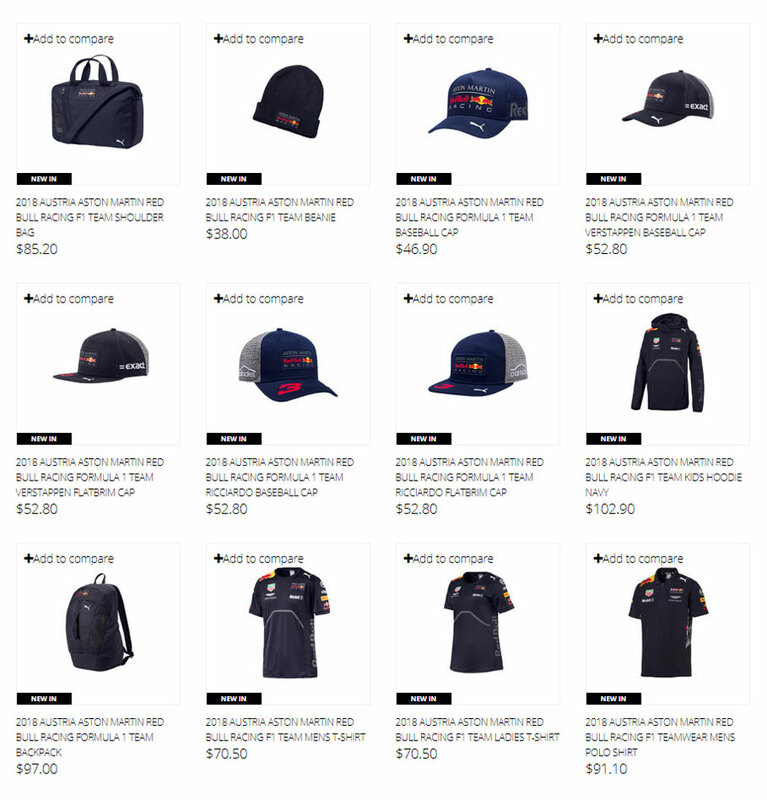 The latest collection of clothing and merchandise from Aston Martin Red Bull Racing F1 Team is finally available in our shop. With Aston Martin as new team partner, their drivers’ lineup remains the same, so we’ll see Daniel Ricciardo and Max Verstappen in team colours once again, battling for the highest position in driver’s ranking. There will be Renault’s engines as in last season, however this year they’ll carry Tag-HEUER brand. The latest Aston Martin Red Bull Racing collection has been designed and manufactured by PUMA. T-shirts, polos, caps, hoodies and jackets - all made of high quality materials with many eye-catching details.